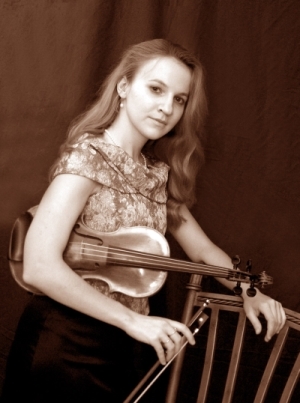 Svetlana (Lana) Mondrusov has been playing violin since she was 6 back in St. Petersburg, Russia. She went on to study at the St. Petersburg State Conservatory where she got her Master’s degree in violin performance before moving to the United States. Svetlana received her doctoral degree in performance from Michigan State University in 2014. Svetlana is also an active teacher and performer. She teaches students of all ages at her home studio and is a tenured performer at Flint Symphony Orchestra. Svetlana is also an avid enthusiast of Baroque music performing on period instruments. Svetlana currently resides in southeast Michigan with her husband. 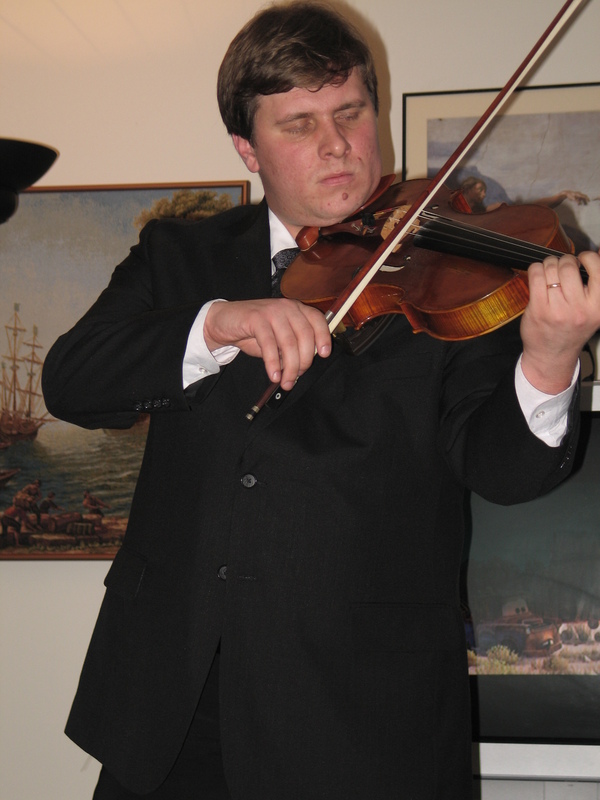 Roman Kosarev currently is the principle violist of the Windsor Symphony Orchestra, but started his first music lessons at the age of 4 in his native Nizhniy Novgorod (Russia). Mr. Kosarev has received his doctoral degree from Michigan State University in 2013. Mr. Kosarev is an active solo and orchestra performer. He has performed in the United States, Canada, Russia, Germany, Netherlands, Spain, Austria, Greece, and Canada. He served as a Principal Violist at the MSU Symphony Orchestra (2004-2009), Midland Symphony (2005-2007), Greater Lansing Symphony (2006-current), and Battle Creek Symphony (2008-2009). He also plays with the Kalamazoo Symphony Orchestra. Mr. Kosarev is also an active music teacher. Since 2005 he has been spending his summers at the Blue Lake Fine Arts Camp in western Michigan, where he has been teaching and performing with the Festival Orchestra as Principal Viola. He also had performances with many world renowned musicians. Currently Mr. Kosarev resides in Windsor (Canada). Lusine Petrosyan began her musical education at age 6 at the Special Music School in Yerevan, Armenia. 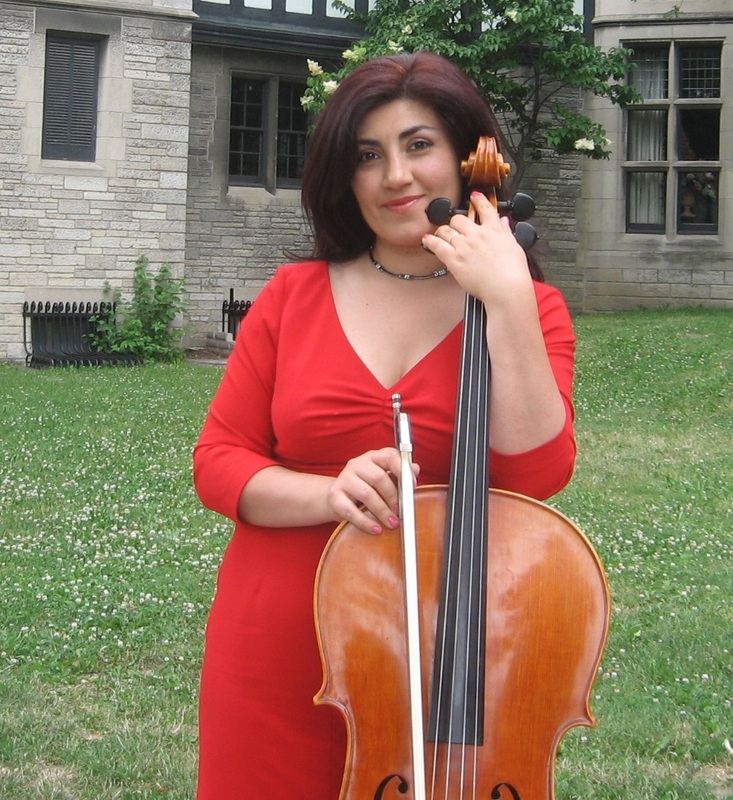 She further studied in Armenia where she pursued her Master’s Degree in Cello Performance and Musicology, and post-graduate studies in Musicology. Ms. Petrosyan continued her education at Wayne State University and Michigan State University, where she achieved her doctoral degree in performance. Ms. Petrosyan is an active solo performer. She had solo and chamber performances in Armenia, France, Germany, Cyprus, USA, and Canada. She is the Second Prize Recipient in the Stefan Elmas Third International Quartet Competition (2002). Since 2009 she resides in Windsor, ON, with her husband and 3 adorable children.